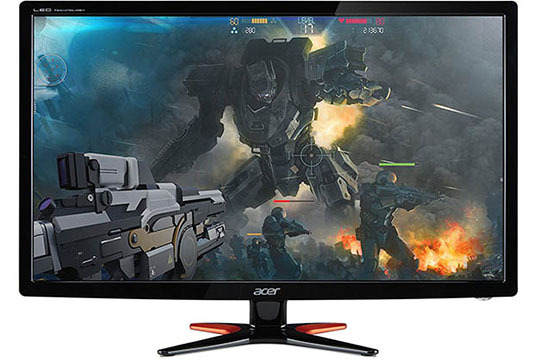 The Acer GN246HL is one of the most popular and top-rated yet cheapest 144Hz gaming monitors available. Back in the day, its 144Hz refresh rate and 3D technology were state-of-the-art features responsible for its popularity. So, does the Acer GN246HL withstand the test of time? 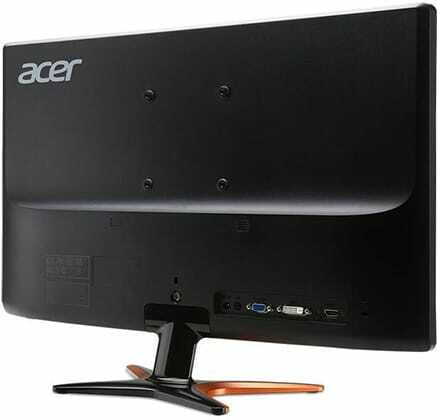 The image quality of the Acer GN246HL display is on par with most of the modern TN panel gaming monitors. The viewing angles are 160/170 degrees, but since you’ll be using the monitor mainly for gaming, which implies sitting directly in front of the screen, this won’t be an issue. Moving on, the panel supports 8-bit color depth via dithering and covers a reasonable 95% of the sRGB color gamut. Overall, the picture is bright and crisp, but don’t expect particularly vibrant colors. Moreover, if you are gaming in a dark room, certain black shades will appear grayish due to the poor contrast ratio. 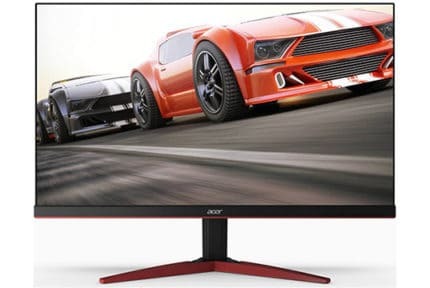 The Full HD 1920×1080 resolution of the Acer GN246HL 24″ 144Hz monitor provides a decent pixel density so you won’t be able to individually distinguish the pixels unless you get really close to the screen. More importantly, 1080p makes reaching 144Hz/FPS almost twice as less demanding than 1440p at 144Hz. The Acer GN246HL input lag amounts to ~10ms which is great for competitive gameplay. Furthermore, the response time speed of 1ms will ensure that there’s no trailing left behind moving objects in fast-paced video games or movies. Out of the box, the Acer GN246HL color calibration is required for the best picture quality. You can get a noticeable improvement in image quality by manually calibrating your screen without any extra hardware required. Unlike most of the modern monitors, the Acer GN246HL is not flicker-free and lacks a blue light filter. 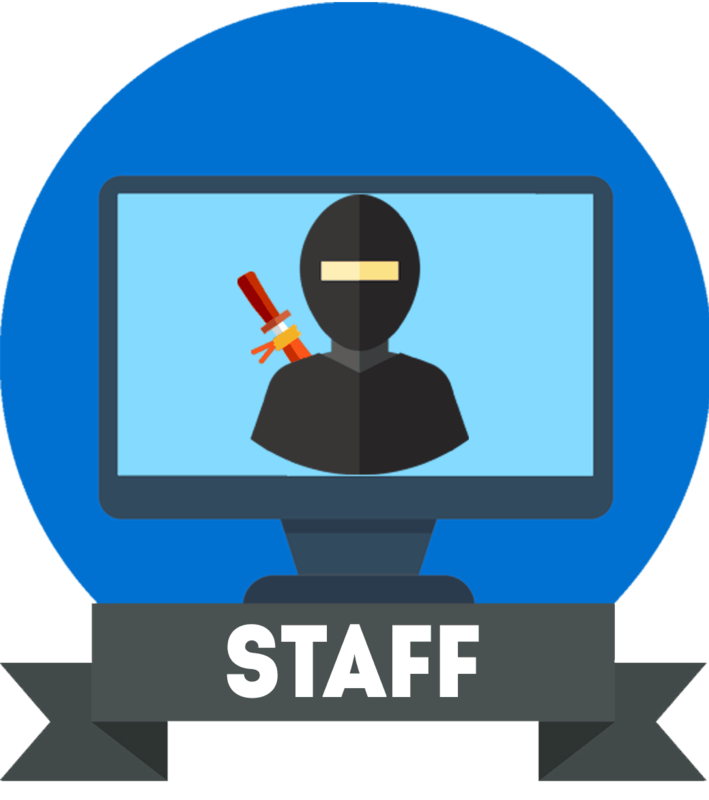 So, if you are sensitive to screen flicker, you may experience headaches or eye fatigue after prolonged monitor use. 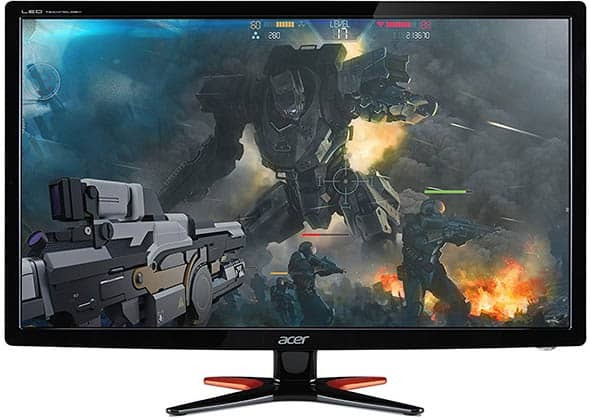 In short, the Acer GN246HL delivers what it promises – a flawless gameplay 1080p 144Hz 1ms performance at the lowest price; there are issues with the picture quality, but these are common drawbacks of TN panel monitors present even in newer and more expensive models. NVIDIA 3D Vision 2 technology is outdated, but if you’re interested in a 3D gaming experience with active-shutter glasses, some older games still support this technology. You can use LightBoost to increase the Acer GN246HL brightness for a more immersive 3D viewing experience or with some fiddling in drivers settings, you can use it for BFI (black frame insertion). The BFI method, also referred to as backlight strobing, further decreases motion blur by adding black frames between the regular GPU-generated frames. It can only operate at 100Hz or 120Hz. Keep in mind that using this method decreases monitor’s maximum brightness and contrast ratio, and increases its input lag to a bit over 16ms which is too high for certain professional gamers, but unnoticeable to an average gamer. The OSD (On-Screen Display) menu is plain and simple with brightness, contrast, color temperature, aspect ratio, and input source options. There are also five picture presets including User, Standard, ECO, Graphics, and Movie. Connectivity consists of VGA, HDMI, and Dual-Link DVI. Only the DVI port supports 1080p up to 144Hz whereas the HDMI is limited to 60Hz even though it theoretically has enough bandwidth for 144Hz. The X-shaped stand is sturdy and can easily be removed if you wish to wall mount the Acer GN246HL monitor via 100 x 100mm VESA pattern. Alas, the screen is tilt-only by -5/15 degrees. 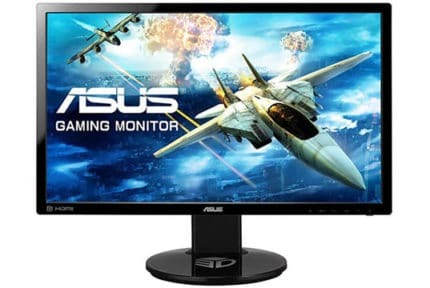 The price for the Acer GN246HL gaming monitor is currently around $200 which makes it one of the cheapest 144Hz 1ms gaming monitor available. However, for roughly the same price, you can get the Acer XFA240 with AMD FreeSync technology (and G-SYNC compatibility). In case you want both FreeSync and Motion Blur Reduction, have a look at the LG 24GL600F. The Acer GN246HL is the most affordable 1080p 144Hz 1ms gaming monitor and it has proven its reliability and performance over the years. Nowadays, there are newer models with extra features and slimmer designs, but if you are on a really limited budget, the Acer GN246HL is still a solid choice. However, if you want the Acer GN246HL because of its LightBoost motion blur reduction technology, we highly recommend you invest in the LG 24GL600F instead. If don’t care for LightBoost or MBR, you should definitely go with the Acer XFA240. The Acer GN246HL is the cheapest 24" 1080p 144Hz 1ms gaming monitor you can get. As such, it lacks certain modern features but performance-wise, it's reliable and well worth the money.